Buy a battery to store solar and never pay for electricity again. That’s the bold proposition of sonnenFlat, the latest twist in an evolving virtual power plant model that developers hope will make home storage pay. 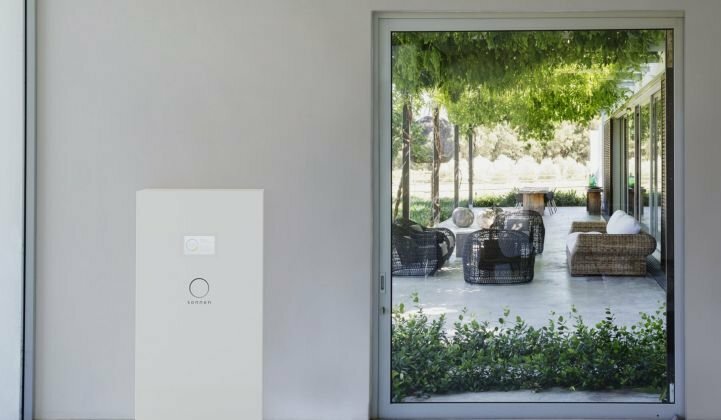 Sonnen believes the cost of providing distributed power in Australia should be offset by the income generated by ancillary services the company sells to the grid operator, leveraging the combined storage capacity of its customers’ battery units. These can be bought by customers for a lump sum, or paid for in installments. SonnenFlat is currently available in Australia, a relatively ripe market for storage, and one that the company only entered a few months ago as a storage system provider. There, as in its native Germany, Sonnen has effectively become an electricity retailer, going head to head with other suppliers. Sonnen is free to function as an autonomous energy retailer in Europe and Australia, thanks to those regions’ deregulated electricity markets. But in the U.S., which is a mix of deregulated and regulated markets, the company has no choice but to play ball with the utilities. Sonnen also hopes to integrate its battery units into new homes as a way to get traction in the U.S. market -- a strategy that other solar and battery providers have undertaken. Blake Richetta, vice president of sales for Sonnen's American business, said the company’s plan is to offer 6-kilowatt-hour Sonnen storage units to homebuilders in new residential developments. Once a community has around 100 homes with battery units, Sonnen can offer utilities 600 kilowatt-hours of storage. The company’s major sales pitch will be avoiding the need for new generating infrastructure for the area. The approach draws on knowledge Sonnen has already gained through experience in other countries, Richetta said. Back in Germany, the sonnenCommunity model has been up and running since late 2015. According to Benjamin Schott, Sonnen's director of business innovation and the brains behind the scheme, it should be providing ancillary services this summer, assuming the company achieves official qualification. By his estimates -- broadly corroborated by analysts -- roughly one-third of the 17,000 Sonnen home storage units deployed worldwide are participating in the sonnenCommunity program. The model combines decentralized power generation, advanced battery storage technology and digital networking to allow communities to share home-generated electricity between themselves. Electricity is communally stored across a fleet of Sonnen domestic battery units, which will also allows Sonnen to offer ancillary services to grid operators. The primary frequency regulation market is Sonnen’s first aim, but Schott thinks that “within two to three years” the spot market for electricity will have recovered sufficiently in Germany to be economically attractive. In Australia, once Sonnen has reached a critical mass of around 2,000 units, Schott expects the company to pursue intraday trading in addition to frequency response. Generator AGL Energy, utilizing Sunverge control systems and a multimillion-dollar subsidy from federal agency ARENA, has already connected around 60 households in Adelaide, South Australia in a project to demonstrate the viability of community energy sharing for customers. AGL says around 1,000 homes will be connected by next year, and company representatives hope schemes likes this will reduce the need for capital expenditure on new infrastructure. He said Sonnen had a distinct advantage over utilities when offering its various virtual power plant (VPP) models: a trusted brand image.